David Rolando is an excellent saboteur – he’s done jobs for the CIA for years and this latest one is probably one of the most difficult he will ever have to face. He has to nuke an Iranian nuclear plant – he has to ensure a core meltdown before the Iranians are able to develop the material into nuclear weapons. 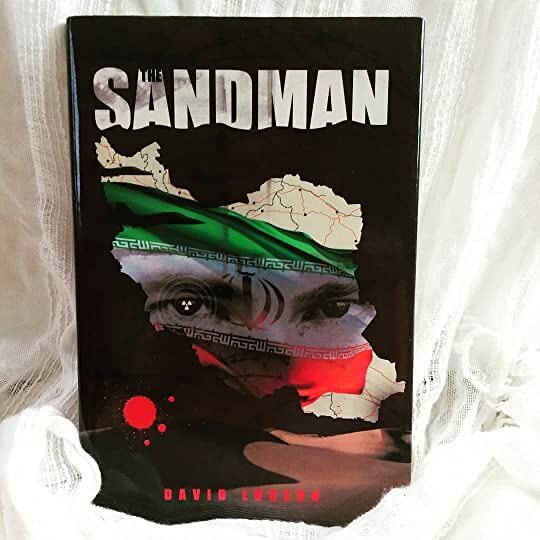 But successful only to a point – as the Iranians race to save their facility, Ronaldo fights a desperate battle to ensure that his sabotage sticks. A little voice in the back of his head told him now was the time to leave this place. This is definitely my favorite of the Lucero novels. It’s told through alternating perspectives between the Iranians and the Sandman and wow. What an interesting dichotomy that made! I couldn’t tell who to root for and it really brought up an interesting interpretation of the novel. The Sandman’s moral dilemma really brought this novel to life…that and his sheer badassery. Every scene he was in was just entirely amazing. The only thing that gave me pause was that I did have a bit of trouble telling all the characters apart. In particular, we were thrown name-after-name for the Iranian-run nuclear power plant. I think if the characters were introduced more slowly or with more reminder tags, then I would have followed a bit better. Though, as it stands, this was an absolutely riveting read! Hats off to the author!